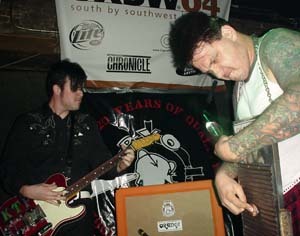 Throw Rag at SXSW – 3/19/04. Here is a list of links to all the Barflies.net’s and my photos, blogs, and other bits of SXSW 2004 – Interactive and Music. by Ms. Jen on Tue March 30, 2004 | Permalink | fun stuff.